Thank you, Oriental Trading, for providing me product in exchange for this post. All opinions are my own. My sweet Bella is having her Kindergarten Valentine’s Day party at school very soon. I am very excited because this is her first ever school Valentine’s Day party. 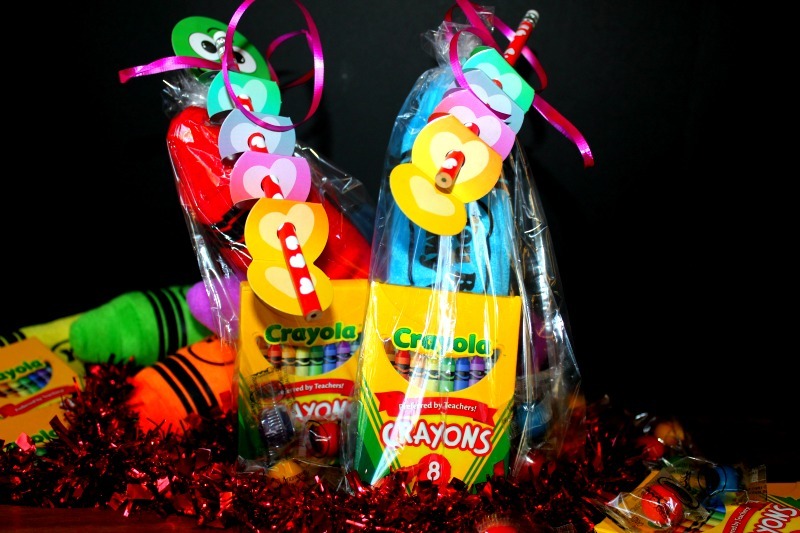 When Oriental Trading reached out to me and asked if I would like to help them promote their Valentine’s Day Party Supplies, I knew that they would have the perfect supplies for me to Create the Perfect Kindergarten Valentine’s Day Goody Bag for her Valentine’s Day party at her school. 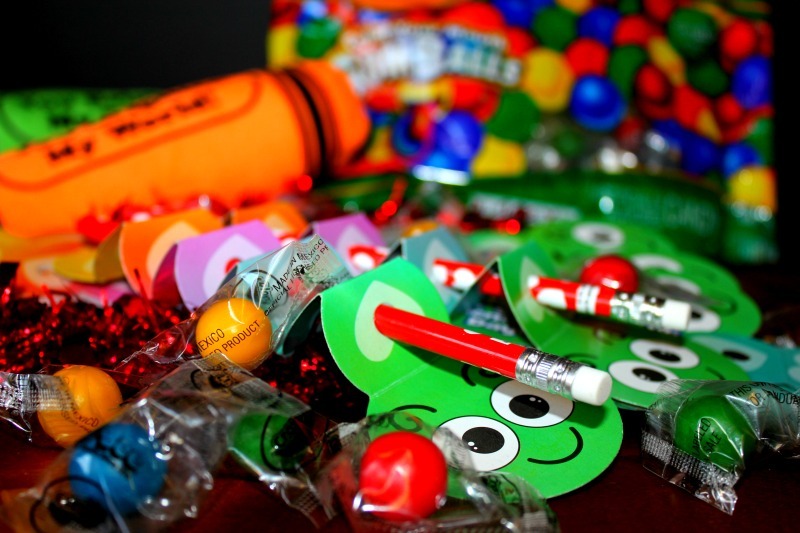 Since I was creating Valentine’s Day goody bags for a Kindergarten class, I wanted to make sure that the supplies that I chose from Oriental Trading were fun and bright. 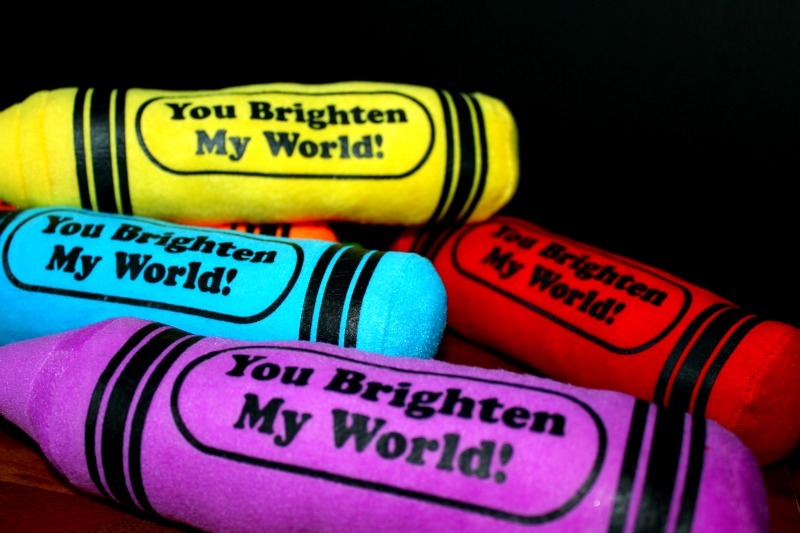 I love bright colors, so when I think of Kindergarteners, I think of a rainbow of colors. I knew that I wanted to include a plush in their Valentine’s Day goody bag, so I started to peruse the Valentine’s Day Plush section on Oriental Trading. I found these cute Rainbow plushies but decided to get these instead. I knew they would be perfect! They had Kindergarten written all over them and they were bigger than I expected. 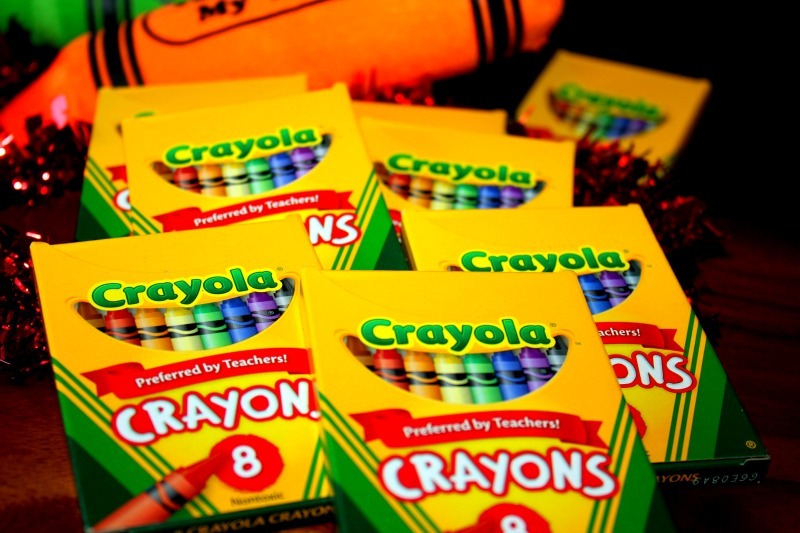 I am a big believer in creativity and do my best to avoid little junky toys, so I thought that a box of crayons would be perfect to add to the bag. I found this 8 pack of Crayons, which was actually cheaper than local stores near me. Since I know that kids love candy, I decided to buy the Crayola Color Your Mouth. It added the perfect touch to these bags, but sadly, Oriental Trading it out of them now. A great replacement would be these very colorful lollipops. For Bella’s class Valentine cards I chose the Inch Worm Valentine Cards that included pencils that you could put through the Valentine. Oriental Trading has an amazing selection of Valentine cards for all genders and all ages. Take a look at their selection here. I also purchased Clear Gift Cellophane Bags to put all of the treats in and then attached the Valentine card to the outside of the bag. I think they came out perfect and I know the kids will love them. Don’t forget to go to Oriental Trading to choose your Valentine supplies. Most of the Valentine supplies are on sale and are perfect for school parties or/and playdates.